Personalized Garment Price Tag with your logo helps you make an impact. 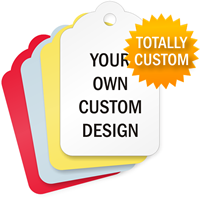 • You can easily upload your own logo or choose one from our gallery. • Add text to display a message on the tag. 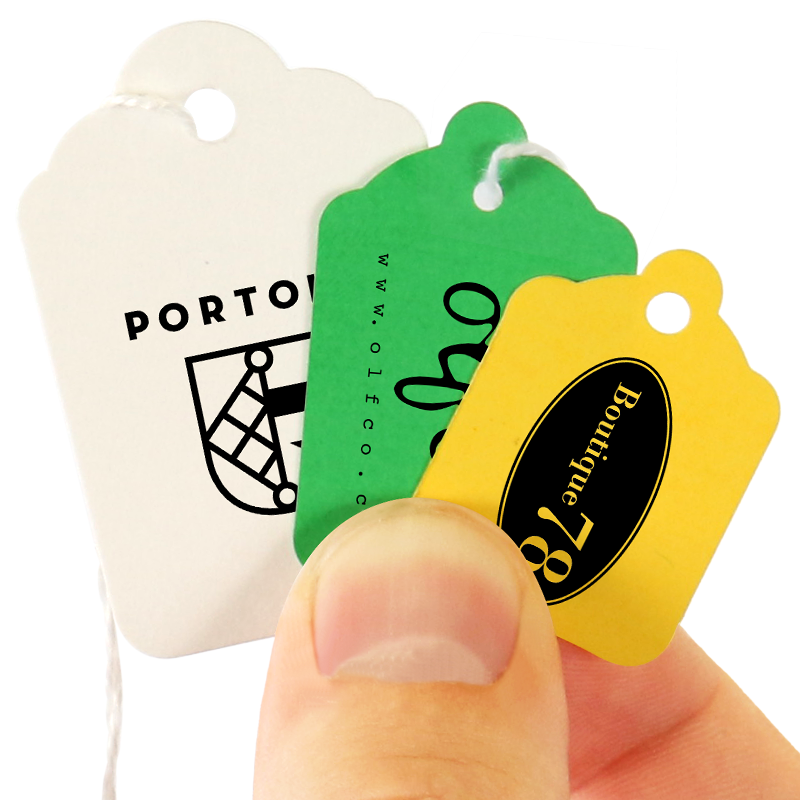 Hefty tags are made from a 12pt coated cardstock. Attachment options include knotted string and elastic string. Both perfect for attaching tags to various products. Avialable material colors include blue, green, red, white, and yellow. Flexographically printed with standard black, red, blue, and green ink colors available.